Attention women: Are you ready to have a greater voice in the world? Do you crave being able to speak your truth on a daily basis, yet find yourself modifying your language, opinions and beliefs because you feel that some people “just won’t get it” or won’t get YOU. Do you want to positively effect social justice and the human rights of women and girls, yet feel overwhelmed and challenged by how you are going to do this? 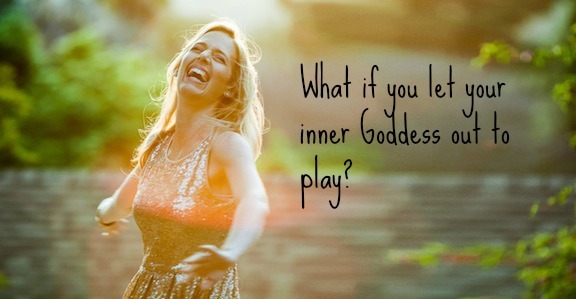 Are you tired of stuffing the Goddess down or diluting your message because you are scared of putting Her at the forefront of your work and wonder how you can thrive in your business being completely vocal about your beliefs? Would you like to get paid for taking a stand in your beliefs, voicing your opinions, and transforming your feminine wisdom and creativity into one of the greatest forces for social and political change? But before I share it with you, I’d like to let you in on something. For a very long time, I was terrified to come fully forward in my leadership, especially with the Goddess at the forefront of my work. I was scared about what people might think of me. I was scared that my life might be threatened. And I was especially scared that I would be carted off to the loony bin. So I kept myself small. Hidden. And would peak out every so often with a culture-shifting blog, opinion piece, or public talk, which was very satisfying. But then I would head back into my cave as quickly as I came out. I was so scared to be seen for any sustained period of time in my deepest truth because I didn’t know if I could handle all that came along with that, especially the part about not feeling safe. This was so painful because I knew I had a massive calling inside of me and that it was through “being seen” in my leadership that I would be able to affect the most change. However being seen, truly seen for who I am as Goddess Leader, was utterly terrifying for me. Like many of you, I grew up in a strong masculine-oriented and male-dominated culture. As a girl, I felt that who I was by nature was “second best” to men and boys. I always felt myself to be “less than” and worked very hard to remedy this feeling. In school, I was an A student, played varsity sports, was a class officer, team captain, partook in many extra-curricular activities, and was socially popular. While this seemed to band-aid my “less than” feeling for many years, and actually gave me great self-confidence (which is different than self-worth and self-esteem), eventually the bottom dropped out. First I developed chronic aches and pains in my body (which I see in retrospect were trying to get my attention to tell me that something was off-kilter), and later a string of violent physical illnesses that had me down on my knees writhing in pain, wondering if I was going to make it out alive. So I chose to listen. And it was through that listening that I started my way back Home to the Feminine. Making this choice to listen to my inner feminine voice, to my feminine body, and to all of the guidance that is within and around me has been the most enriching, soul-fulfilling and adventurous experience of my life. Through knowing the Goddess, I have rediscovered my value as a woman. I have come to trust my own authority and I am no longer terrified to be a leader. She has taught me that it is our wisdom as women that will help heal the wounding of our planet, and that we must use our voices to bring what we know in our inner world into the outer world. We must break our silence and raise our voices speaking on behalf of our values, our beliefs and the vision we hold for the world. Without our wisdom in the public zeitgeist, we will continue in the cycles of poverty, war and violence (and especially violence against women). As I have stepped more deeply and with more commitment on my path, I have come into relationship with more and more women who are also being called by the Goddess/Divine Feminine/Sacred Feminine – and we are co-creating together through coaching/client relationships; through co-leadership relationships; and through deepening friendships. Most importantly, as we work together in these relationships, I am getting to help them trust their voice, trust their inner authority and spread their wings to fulfill their soul’s purpose. I believe so deeply that when one woman speaks her Truth, it opens the doorway for other women to speak their truth and creates a ripple effect for global healing. I am forever grateful to be on this path and I am excited to help you amplify your voice and realize your potential as the feminine leader you know you are inside … and that the world is waiting for! Now I invite you to come join me and 6 other women saying “YES” to their feminine power and potential. As women, our knowledge, wisdom and opinions are outlandishly underrepresented around the world. In the United States, we represent just 3 percent of top decision-making positions in the media and less than 25 percent of opinion writers at all the major newspapers; in the U.S. Congress we represent just 17 percent of our elected government body; in business, we represent just 16 percent of corporate boards, and in religious leadership, we are practically invisible. This means that what matters most to us as women is not on the table. This means that there is a serious lack of in-depth discussion on the truth of women’s lives, which then in turn translates into laws, public policy, and resource distribution that don’t accurately reflect the needs and desires of women, and in turn our children and future generations. For women and girls to be treated as fully human, equally able to guide our own lives and destinies, and to get our global consciousness out of the cycles of war, poverty and violence, I believe that you – wise woman and emerging trailblazer – need to speak your truth and use your voice way more visibly and publicly than you are probably are now. With this said, I want to acknowledge that there are a lot of fears that can come up around becoming more visible as a feminine leader. I get it. I’ve been there (as you read above), and I still constantly work on this and through this, and so do so many of my clients. So I want you to know that if you have some major fears around visibility, you are not alone, and we will be addressing this as we move forward in the program. I also want to acknowledge that for some of you the word “political” might bring up the eebie jeebies, as it may not be a word that you feel warmly about or even connected to. However, I know if you made your way here to this page, you feel stirred to be a changemaker and you probably have a greater social mission sitting inside of you wanting to make it’s way out into the world. For this reason, it will be important to create a new and different relationship with the word “political,” and one where you get to redefine it for yourself so that can do your important work. I will be sharing more about this in the program. My intention for the program is to hold a safe, loving, transformational space where you can become absolutely clear about your calling and purpose, completely confident about coming forward in your leadership, and politically and socially activated in a way that you are completely at ONE with your feminine authority as you move forward taking your place as a trailblazing feminine leader of the 21st century. This is a one-of-a-kind, intimate women’s leadership coaching program for 6 women who are feeling called to take a stand in their mission, amplify their voice in the world, and realize their potential as a feminine leader of the 21st century. I’ve designed it for women like you to learn how to become completely at home in your own authority, courageous and confident in your visibility, and to develop your unique leadership platform so you can make the change you were born to make in the world. I created this program at this particular time because I know how essential it is for women like you — the wise woman — to bring your wisdom forward into the world for both your individual healing and the healing of the global collective. What makes this program different is that it is not a big, massive program with 200 people, or even 30 people, where you can slip into anonymity and lose the oomph required to keep stretching. It is an intimate, individualized VIP program with tons of one-on-one support for those of you who want to be nurtured into your leadership by me and a magical sisterhood of 6 women cheering you on the whole way. Many other leadership programs out there are still based on a masculine-oriented model, neglecting to honor and cultivate where a woman’s true power comes from — being a woman. What makes this program different is that it defines leadership as something that is innate in every woman and that is not necessarily something that needs to be learned, as much as it needs to be Remembered. This program was designed to fully empower you in who you are and take you through a transformational journey to create all of the potent tools and materials you need to disseminate your message, amplify your influence, and lead the movement you are here to lead. 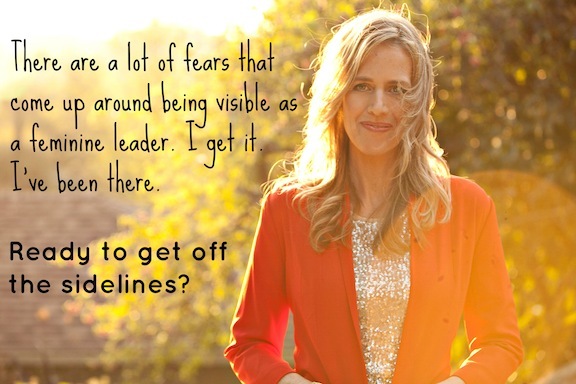 Are you ready to live your truth as a Feminine Leader of the 21st century? You will journey together both with Tabby as your guide and mentor and with an intimate group of supportive sisters who, like you, are on a path of claiming their voice in the world and becoming the trailblazing feminine leader they know they are meant to be. The journey will be individualized and the curriculum modified according to each woman’s mission, lifestyle and pace. What I have included below, however, is the basic foundation from which we will work. Every month you will have 3 private weekly 60-minute coaching calls with Tabby (12 total) + 1 Sisterhood Group Coaching Call (4 total). So that means you will have close-knit support from week to week. In between our calls, I will give you assignments to work on (according to what came up in the session) to keep you in motion creating the content elements of your platform. I will also provide you with Sacred Feminine Practices, according to what I see happening for you, to support you in your inner journey and personal transformation. These may include practices to help you more deeply trust your inner own knowing and your body’s wisdom, practices to help you move through visibility issues, self-doubt and fear, and practices that give you the courage and stamina to express your mission and vision and be the changemaker you came here to be. There will be 1 LIVE (optional) day-long retreat in Los Angeles where you will get the opportunity to present your signature talk, unleash your creative expression, and receive feedback to take it all to the next level. This will also be a day of ritual and sacred sister empowerment and healing. There are many more goodies that come with this program. This is just a taste. Please keep scrolling down to learn all about them. **For those of you who want to learn more about the Goddess and develop a deeper relationship with Her as a pathway to understanding and embodying your power and potency as a feminine leader, I will be providing this mentorship throughout our time together, if you choose it. • 16 weeks of individualized support. You receive 3 monthly, 60-minute private calls with Tabby (12 total), where I will be working with you from an intuitive level, as well as providing you with project management and all the nuts and bolts you’ll need to stay on track, focused, motivated, excited and encouraged to claim your mission, share your message, and stand in your leadership with confidence, ease and grace. • 4 Sisterhood Group Coaching Calls, (1 per month). There is nothing like being seen, heard and supported by your sisters. While so much incredible growth, transformation and production happens through our private sessions together, the sisterhood support takes things to the next level. This is a magical element of the program. • MP3s of all Goddess Leadership Group Coaching Calls to access for future reference. • A Private Goddess Leadership Facebook Group. This is a place where you will receive ongoing support, love and guidance from Tabby and your trailblazing sisters. • Templates for Writing an Op-Ed, a Signature Talk, and Marketing Copy. These templates can serve as launching points to simplify the process and make it easy for you to create these important elements of your platform. • 1 Goddess Leadership Workbook. This special workbook (created by Tabby) will provide you with feminine practices and sacred space to reflect on your process. • 1 LIVE Wrap Party Spreecast. Here we will celebrate all that you have accomplished and you will be loved up in a closing ritual. • 1 Optional SOS Call after the completion of the program so you stay in motion. The investment for this 16-week VIP Women’s Leadership Program is $5500. you’re done with undervaluing yourself. you know you have a social mission, but you feel confused about how to articulate the message and lead the movement that you feel deep inside your soul. you care about the empowerment of women and girls and the well-being of our planet. you’re ready to make a bigger impact in the world. Talk with Tabby privately in a complimentary 30-minute Discovery Session. During your session, we will look at where you are now, explore where you want to go, and determine whether this is the right program for you. YES! I WANT A DISCOVERY SESSION!! Dear beautiful sister, it’s your time to shed all the unconscious patterning and old obstacles that have gotten in your way so you can step into your Goddess birthright, radiate your message and affect lasting powerful social, political and cultural change. I look forward to hearing from you! I’m very excited about supporting you on this journey. Tabby Biddle, M.S. Ed., is a celebrated women’s leadership coach and well-known voice speaking out for the human rights and empowerment of women and girls around the world. A two-time recipient of a United Nations Foundation press fellowship, Tabby’s articles and blogs have been featured by national and international media outlets including the Huffington Post, the Los Angeles Times, USA Today, UN Dispatch, NPR, Current TV, BlogHer and MariaShriver.com. As a passionate advocate for women’s leadership, Tabby has spoken at numerous events to empower the voices of women and girls, including The Feminine Light in the Middle East Conference, Global Girl Media Academy, and the WriteGirl Journalism Conference. Tabby is the Co-Director of the Los Angeles Goddess Collective and is the Creatix of the Goddess Leadership Program, a revolutionary program designed to strengthen and activate the political voices and consciousness of emerging women leaders and amplify their feminine leadership platform for global healing and socio-political change. Over the last seven years, Tabby has written, lectured and given interviews on the topic of the Divine Feminine and the power of a woman’s voice. She received her Masters in Education from Bank Street College in New York City and her undergraduate degree in Political Science from Colby College. She lives in Santa Monica, CA with her husband, toddler son and beloved cat. Learn more at tabbybiddle.com.